Welcome to the Hollywood Dell -- the neighborhood Angelino magazine has dubbed "one of the hippest and hottest neighborhoods in Los Angeles". Meticulously updated from top to bottom, this 2 bedroom/2 bath condominium is Hollywood luxury living at its best. Designer upgrades include new electrical, new HVAC, tankless water heater, brand new kitchen, including top-of-the-line appliances, spa-style bathrooms, recessed lighting, hardwood floors throughout and large private patio. 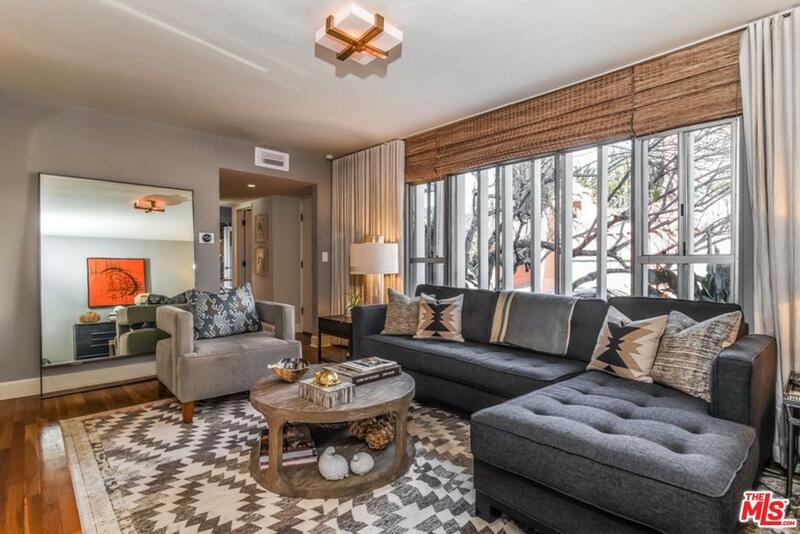 This beautiful mid-century modern building includes covered parking with storage, ample guest parking, private vegetable garden and stunning pool with courtyard.